Following the warm weekends of summer spent at the beach, it can seem quite a downer as we make our way into the first chills of fall. Not that Los Angeles ever sees much of a cold front but the cooler evenings and shorter days certainly make the endless parties around the pool seem a far away memory! One of our favorite weekend destinations is Santa Barbara, and more specifically, the small community of Montecito. Located on the water at the base of the mountains, with European charm and fine dining galore, there’s not much you’ll miss from Los Angeles when you’re up here! 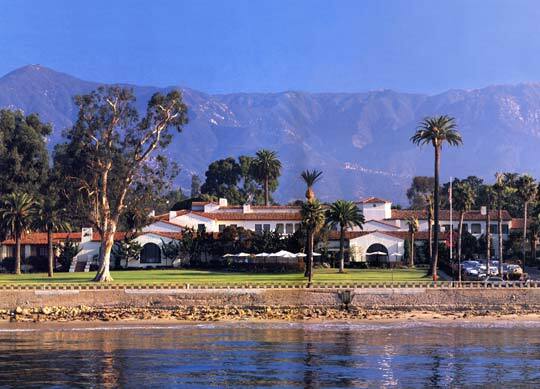 For reserving your stay in luxury, be sure to check out the Four Seasons Biltmore right on the water in the heart of Montecito, or El Encanto Spa and Resort, situated on top of one of the city’s highest peaks, offering views of the coastline north and south! Clocking in at less than two hours driving time from the heart of Los Angeles, with cooler weather and the ever present ocean breeze, all we can say is what’s keeping you from putting down the roof on your classic Jaguar this week and getting away?! Posted in Wanderlust Wednesdays and tagged getaway, santa barbara, travel, weekend. Bookmark the permalink.